PED-Board Mini control board extends the PED-Board ecosystem with a new concept. It is smaller, cheaper and it offers two connecting options. It can be ordered with direct mount fast-plug connectors to strongly simplify the system integration, avoiding any additional Adapter Board. Alternatively, when specific additional features are required, it still support the Adapter Board concept by ordering the PED-Board Mini with board-to-board strip-line plugs. PED-Board Mini peripheral drivers are fully compatible with the PED-Board peripheral drivers and viceversa (i.e. if the peripheral is present). 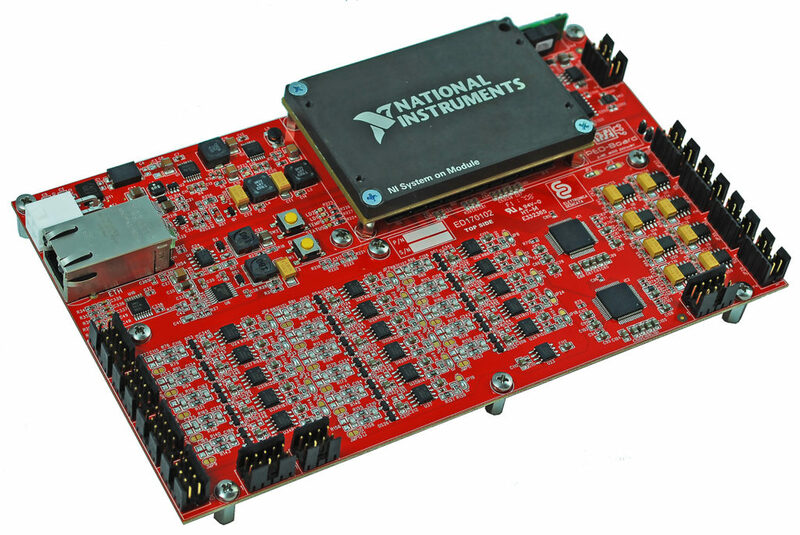 still NI-SoM based and fully programmable by LabVIEW! board-to-board pins where an application specific Adapter Board is required.